Anytime you sample a collection edited by veteran anthologist Ellen Datlow (Snow White, Blood Red; Teeth; Supernatural Noir), you know that you are in for a treat. 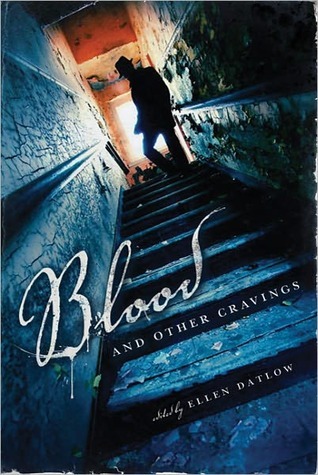 Blood and Other Cravings is no exception. This top-notch collection takes vampirism as its theme, but each story veers far and away from the now-worn tropes of the genre. The creatures (some human, some decidedly not) featured in these tales feed not only upon blood but hope, emotion, and life itself. They are beings of insatiable hunger and predation, stalking us from the shadows of 1970s New York, from behind the blinds of suburban homes, and from our parents’ bedrooms. While there is not a bad story in the bunch, some are worthy of special mention. “Keeping Corky” by Melanie Tem is a sublimely disturbing piece involving a mentally-challenged young mother whose indomitable will affects those that would stand between her and her son. Fledgling talesmith Nicole J. LeBoeuf’s piece, “First Breath”, is a beautiful exploration of identity and point-of-view involving the lifecycle of a family of ethereal beings. 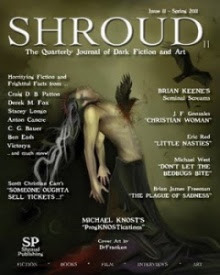 The anthology closes with Laird Barron’s “The Siphon”, where an evil man encounters creatures of blood and nightmare that lie in the shadows thrown across time and myth. Blood and Other Cravings reminds us of why we should fear those that stalk the night. Visit Ellen Datlow's site here.